Water stables isotopes are commonly exploited in various types of archives for their information on past climate evolutions. Ice cores retrieved from polar ice sheets or high-altitude glaciers are probably the most famous type of climate archives. 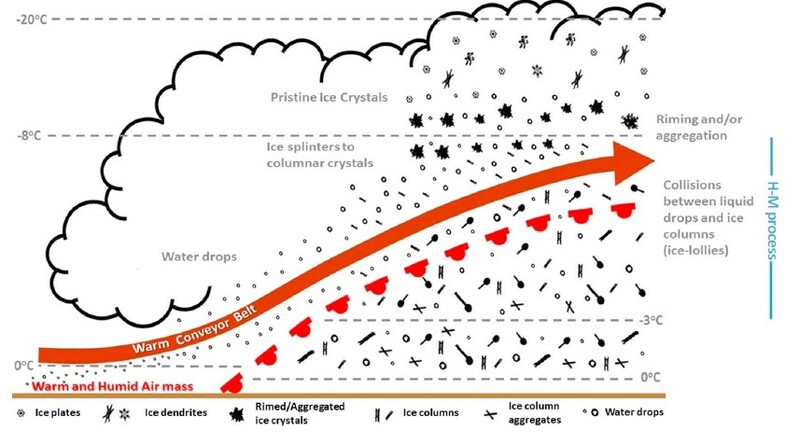 In ice cores, the message about past temperature variations is conserved in the ice, formed from the snow falls whose isotopic composition vary with the temperatures governing the snow crystals formation. However, deciphering the temperature variations from water isotopes is not always straightforward, as the temperature is not the only parameter which can have an imprint on the isotopic composition of the ice, but other variations like changes in origin of the moisture can also play a role. Water isotopic observations are useful tools to understand the water cycle, as the water masses keep in their isotopic composition a signal of the phase changes they have undergone. Many studies use complex atmospheric models representing the water isotopes to refine the analysis of paleoclimatic data. The same models are also used for future climate projections, a domain where large uncertainties are still linked to the prediction of the water cycle and the changes in precipitations. Water isotopes can be useful to benchmark such models and contribute to their improvement. 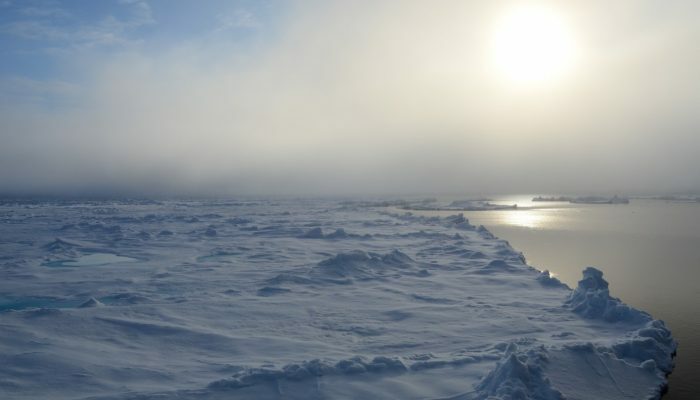 To better understand the processes affecting the water isotopic composition in the atmosphere, our group at the Alfred Wegener Institut in Germany has been focusing on the first step of the atmospheric water cycle: the evaporation at the oceanic surface. For this purpose, we have been continuously measuring the water vapour isotopic composition since summer 2015 directly above the ocean surface, on-board the german research ice breaker Polarstern (Figure 1). 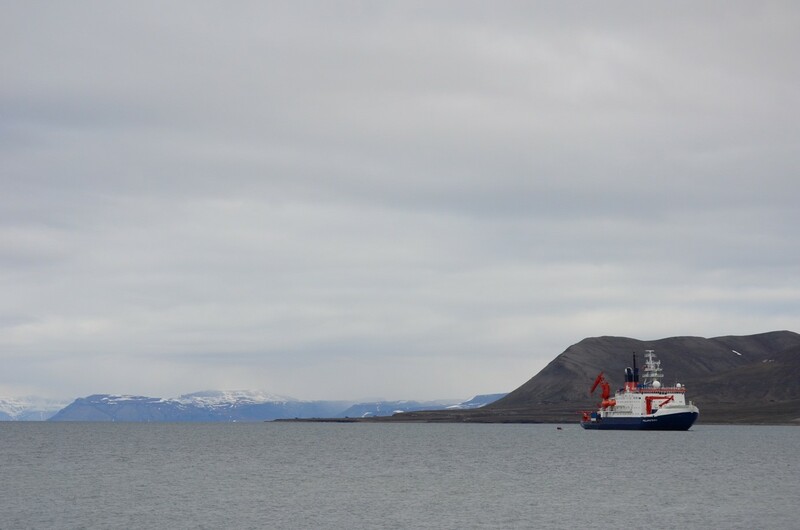 Figure 1: The Polarstern ice breaker in the bay of Longyearbyen, Svalbard, in July 2015. We measured humidity level, δ18O and δ2H (representing the variations of the amount of water isotopes, H218O and H2H16O, compared to the most abundant isotope H216O) and calculated the second order parameter deuterium excess, defined as d-excess = δ2H – 8.δ18O. 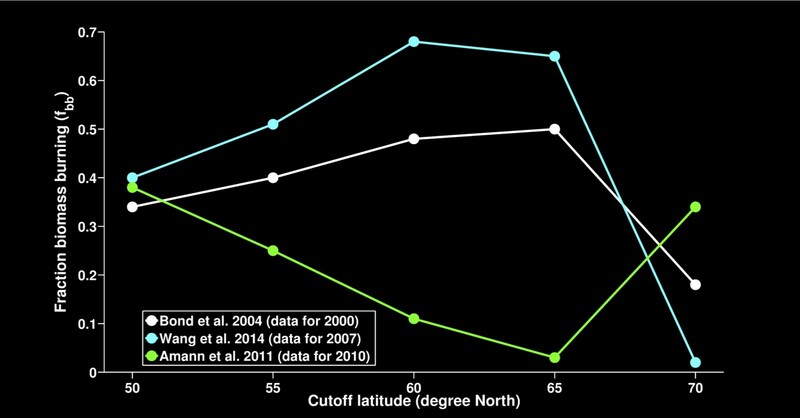 Our observations, newly published in Nature Communications, extend over all latitudes in the Atlantic sector, from the North Pole up to the coast of Antarctica (Figure 2), and could therefore also be exploited for many projects involving water isotopes at any latitude around the whole Atlantic basin. They allowed us to experimentally explore the interactions between the atmospheric moisture and the open sea as well as the sea ice. According to a commonly accepted theory proposed about 40 years ago (Merlivat and Jouzel, 1979), the meteorological conditions under which the oceanic evaporation takes place leave their fingerprint in the isotopic composition of the vapour. We have been able to test this theory on the field for the first time under such a large range of climatic conditions. Our observations indeed confirm the expected role of relative humidity and sea surface temperature in the isotopic composition of the evaporated flux. However, contrary to what was expected from this theory, our records reveal that the wind speed at which the evaporation takes place does not leaves its mark in the vapour isotopic composition above the oceans (Figure 3). Figure 3: Theoretical effect of wind speed on the vapour isotopic signal d-excess, considering the Merlivat and Jouzel 1979 theory (left panel) compared to observations (right panel). Distinct distributions of d-excess against relative humidity at the sea surface are expected from the theory between low and high wind speeds (below or above 7 m/s, respectively orange and blue), but no difference is observed on the field. In the sea ice covered areas of the polar oceans, the observations were showing highly different signals than above the open ocean. We have shown that an atmospheric model simulating the isotopic composition of water (ECHAM5-wiso) could at first not reproduce the intensity of these variations. We managed to identify the cause of this discrepancy, by adding a new source of humidity in the model. This model was already considering the sublimation of sea ice as a source of humidity. But so far, it was assuming that the sea ice was formed only from frozen oceanic water and therefore had the same isotopic composition as this oceanic water. However, the surface of the sea ice is also affected by snow falling on top of already formed sea ice. These snow falls having a totally different isotopic composition than the oceanic water, once integrated in the model as a new potential source of sublimation, they drastically changed the simulations of vapour isotopes in polar regions and the model now resolves our observations in these sectors much better (Figure 4). 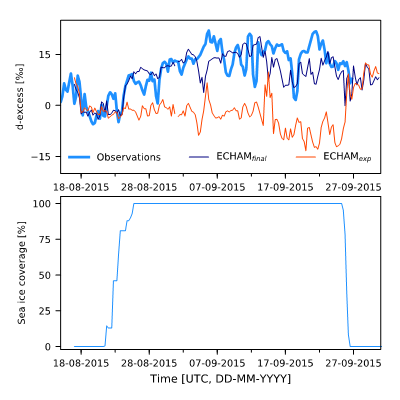 Figure 4: Improvement of the simulated vapour isotopic signal (d-excess) by the isotope-enable atmospheric general circulation model ECHAM5-wiso in sea ice covered areas while considering the deposited snow as a sublimation source (ECHAMfinal, dark blue) compared to bare sea ice created from oceanic water only (ECHAMexp, orange). 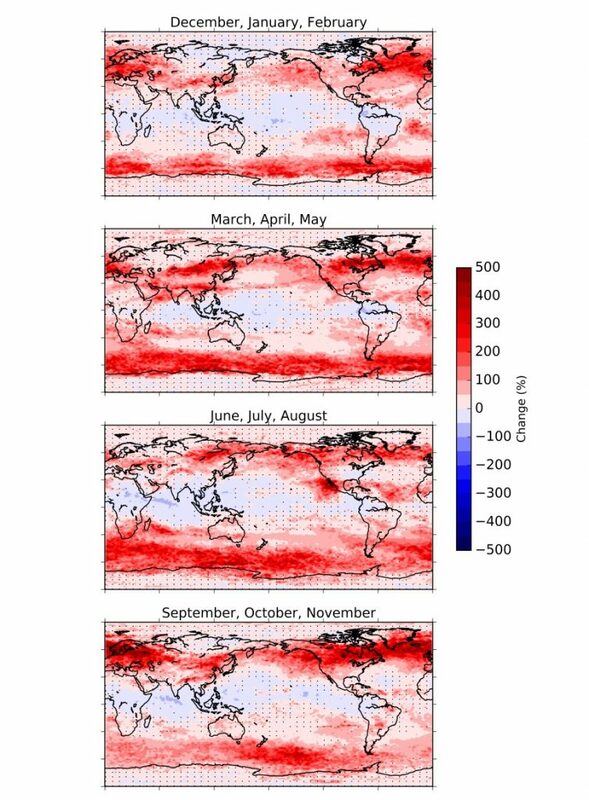 Our observations have shown their ability to benchmark atmospheric models of atmospheric water cycle. They highlight different processes having significant consequences on the simulation of water isotopic composition in vapour and precipitation at the global scale which should be considered in all atmospheric water cycle modelling experiments. They contribute to better understanding the creation of the first water isotopic signal during oceanic evaporation. This is particularly important as the oceanic evaporation will later determine the isotopic signal found in subsequent precipitation. The interpretation of past climate archives originally formed from precipitation can therefore be significantly affected by these results. 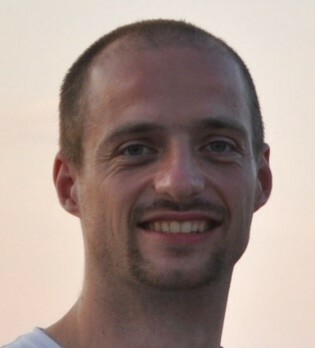 Jean-Louis Bonne is an atmospheric scientist at the Alfred Wegener Institut, Bremerhaven in Germany. He prepaed his PhD at the LSCE, Gif-sur-Yvette, France. 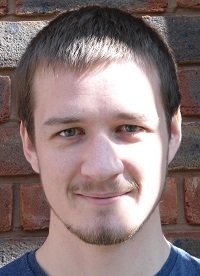 His research aims at understanding the contributions of local and remote sources to locally observed atmospheric composition by their combination with atmospheric simulations. 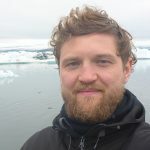 He has been working on the atmospheric components of the water and carbon cycles, exploiting present-day observations of greenhouse gases and water vapour isotopic compositions. 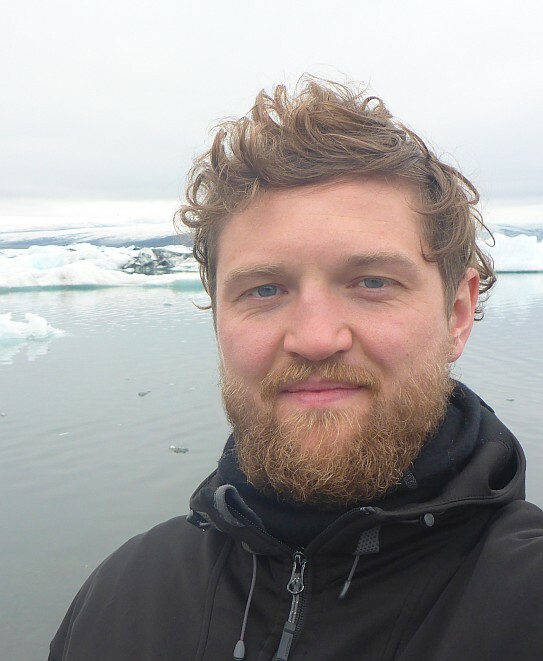 His current project, ISOARC, is focusing on the identification of the moisture sources of the eastern-Arctic. His personal blog can be reached here. This post is the first of a “live-series of blog post” that will be written by Julia Schmale while she is participating in the Arctic Ocean 2018 expedition. Low level Arctic clouds are still a mystery to the atmospheric science community. To understand their role the present and future Arctic climate, the Arctic Ocean 2018 Expedition is currently under way with an international group of scientists to study the ocean, lower atmosphere, clouds and aerosols. Low level clouds in the high Arctic influence the energy budget of the region and they hence play an important role for the Arctic climate. The Arctic is warming about twice as fast as the global average, a phenomenon called Arctic amplification. 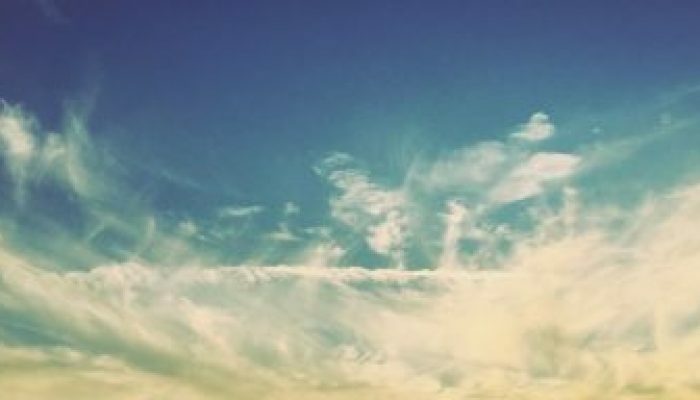 The role of clouds for climate is linked to their interaction with solar radiation. They reflect short-wave radiation, thereby sending energy back to space and cooling the surface. In the case of longwave radiation, clouds reflect it back to the surface which causes a greenhouse effect that is warming the surface. The top of the clouds cools during this process, which makes air parcels surrounding the top cool as well and sink to the surface. These air masses are replaced by warmer surface air which rises. This can cause a well-mixed Arctic boundary layer. Most of the time, however, the cloud level is decoupled from the surface due to temperature inversions. This is possible when clouds are thin. In this case, clouds cannot feed on the water vapor from the surface and they might dissipate. Interaction of clouds with short-wave radiation in the summer is most of the time less important than their interaction with long-wave radiation. This is because the cloud albedo is similar to the sea ice albedo. Hence clouds do not have a strong cooling effect. However, as summer sea ice retreats and the surface gets darker, clouds may contribute to surface cooling in the future. The overall radiative properties of clouds are further influenced by the phase of the clouds. Arctic summer clouds are normally mixed-phased, that is liquid droplets co-exist with ice crystals. Usually, ice and liquid water do not co-exist, because the ice crystals grow at the expense of liquid droplets that evaporate (because the saturation water vapor pressure is higher of liquid droplets than ice crystals). However, in simple words, in the summertime Arctic, when mixing of air masses occurs, liquid droplets form in rising air parcels that sustain the liquid layer at the bottom of the cloud which in turn feeds the ice crystal growth. As cloud droplets and ice crystals only form on cloud condensation nuclei (CCN) and ice nucleating particles (INP), the whole complexity described above, depends on the presence of aerosol particles. But the central Arctic Ocean has an extremely limited supply of CCN and INP. Potential sources include locally produced or long-range transported particles. 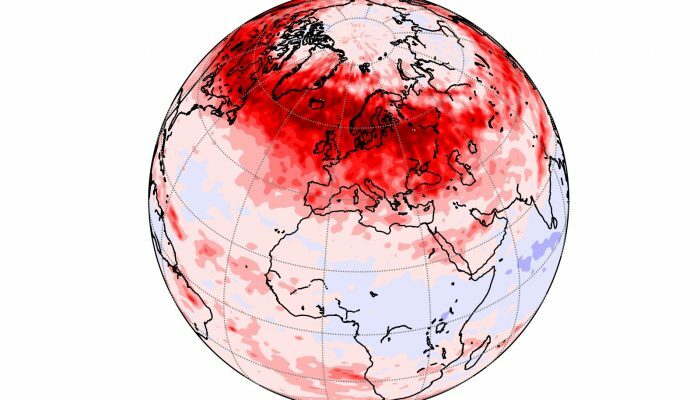 Long-range transport of particles – or precursor gases that form particles – to the high Arctic in the free troposphere can contribute to the number of CCN and INP. However, in the summer Arctic atmosphere precipitation is frequent and particles can be washed out along their way north. 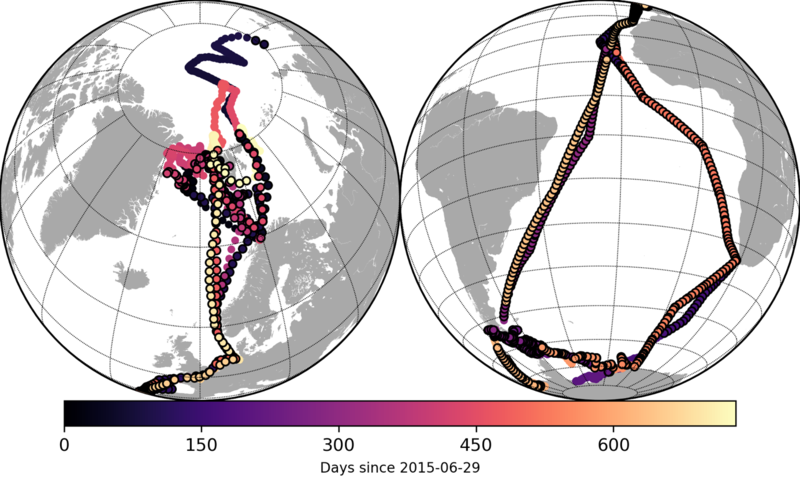 Regional transport of trace gases such as dimethyl sulfide (DMS), which is emitted from phytoplankton blooms in the marginal ice zone, can contribute to the CCN after atmospheric oxidation. Local sources in the high Arctic are however, extremely limited. Open leads, those are areas of open water which form as the sea ice is moving, can produce particles through bubble bursting. These bursting bubbles expel material such as sea salt and organic particles contained in the surface water into the air from where they might be transported to the cloud level. Another conceivable source of particles is new particle formation. This means that particles are freshly formed purely from gases. This process and the chemical nature and sources of the gases are however poorly understood. 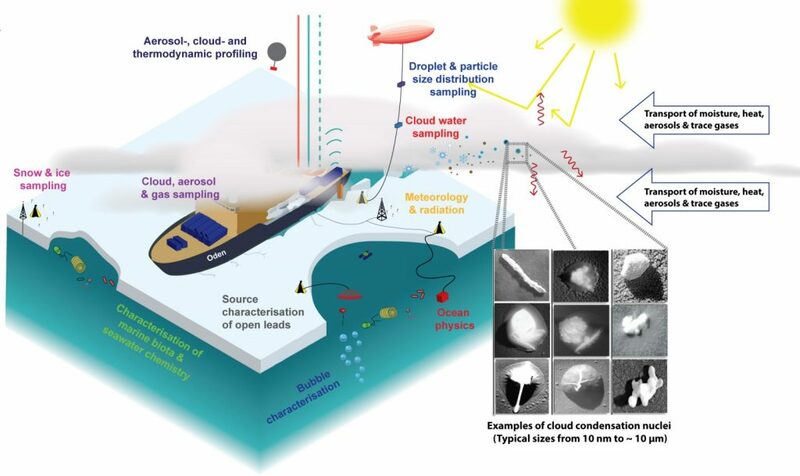 To shed light on how cloud formation works in the summer time high Arctic and how this might change in the future with changing climatic conditions the Arctic Ocean 2018 Expedition is designed to investigate physical, chemical and biological processes from the water column to the free troposphere. The graphic below provides a schematic of the planned activities. On 1 August, we left Longyearbyen. 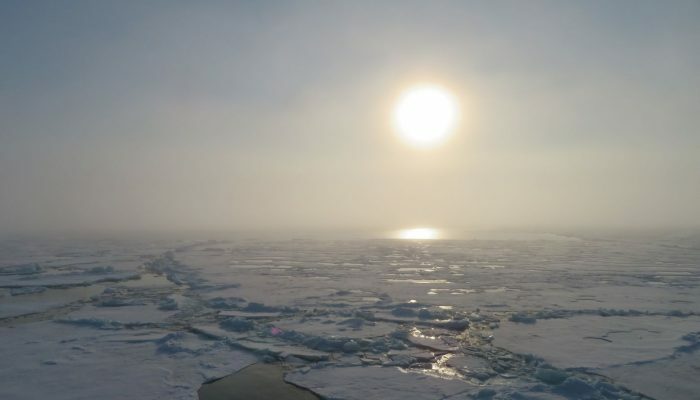 After a 24 hour station in the marginal ice zone, we are now heading towards the North Pole area where we look for a stable multi-year ice floe against which the ship will be moored for several weeks to drift along. This strategy will give us the opportunity for detailed process studies. In the upcoming blog contributions, several of these process studies will be featured. Volcanic ash is a spectacular companion of volcanic activity that carries valuable information about the subsurface processes. It also poses a range of severe hazards to public health, infrastructure, aviation, and agriculture, and it plays a significant role in biogeochemical cycles. Scientists can examine ash particles from volcanic eruptions for clues to the history of their journey from the lithosphere (Earth’s crust and upper mantle) to atmosphere, hydrosphere, and biosphere (Figure 1). These tephra particles are less than 2 millimeters in diameter, and they record most of the history on or near their surfaces. 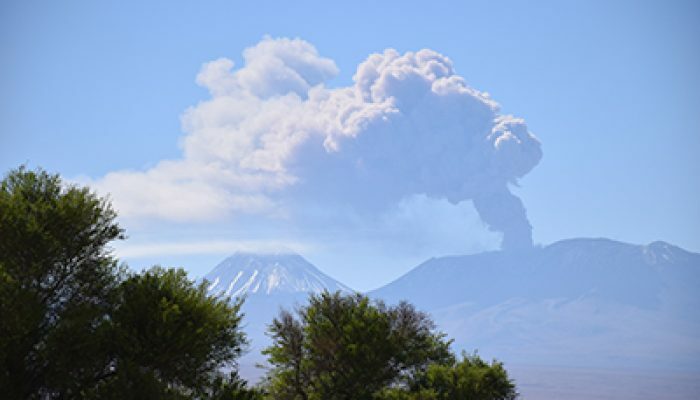 Understanding the physicochemical properties of the ash particle surfaces is essential to deciphering the underlying volcanic and atmospheric processes and to predicting the widespread effects and hazards posed by these small particles. This has been extensively investigated recently but several fundamental questions remain open. 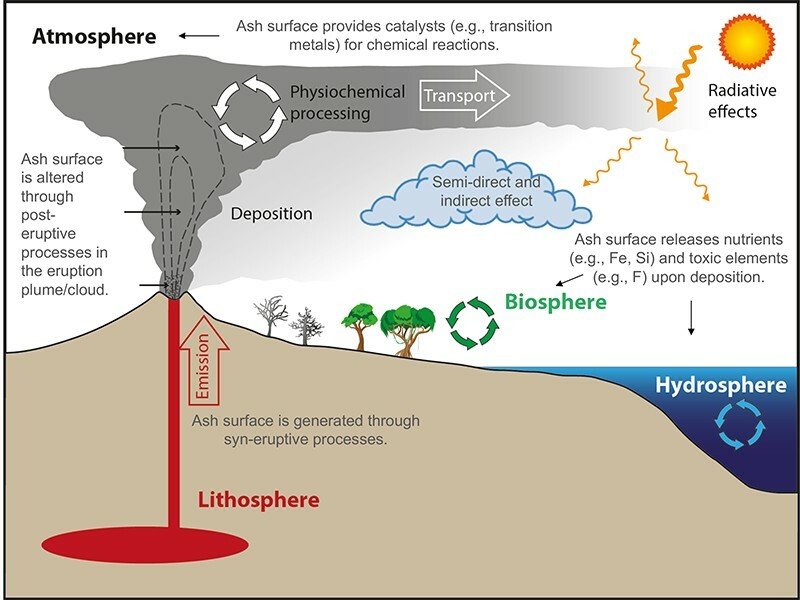 Figure 1: Particle surface properties strongly affect the life cycle and effects of volcanic ash particles within the Earth system (Credit: G. Hoshyaripour). 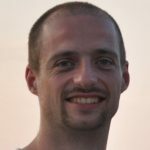 For example, ash surface generation and alteration through processes occurring during eruption (e.g., fragmentation and recycling) and after eruption (e.g., aggregation, cloud chemistry, and microphysics) are not yet quantitatively well understood and thus are not fully implemented in the models. Therefore, gaps remain in our understanding of the volcanic and atmospheric life cycle of the ash and how this life cycle is linked to the ash’s surface properties and environmental effects. This limitation hinders the reliable estimation of far-field airborne ash concentrations, a central factor in assessing the ash hazard for aviation. Addressing the challenges in volcanic ash surface characterization requires close collaboration of experts in laboratory experiments, in situ measurements, space-based observations, and numerical modeling to co-develop reliable assessment tools for both fundamental research and operational purposes. 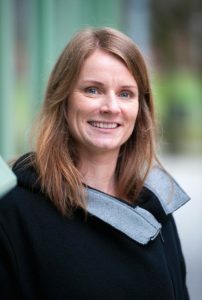 These actions should involve specialists from geochemistry, geology, volcanology, and atmospheric sciences to combine the advanced experimental and observational data on rate parameters of physicochemical processes and ash surface characteristics with state-of-the-art atmospheric models that incorporate aerosol chemistry, microphysics, and interactions among ash particles, clouds, and solar radiation in local to global scales. As the first step in this direction, a joint European Geophysical Union (EGU) and American Geophysical Union (AGU) session on volcanic ash is organized in the upcoming general assembly and fall meeting entitled: Volcanic Ash—Generation, Transport, Impacts, and Applications. 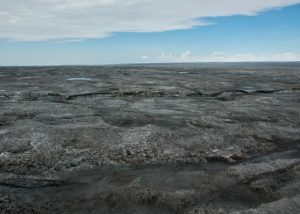 The next steps should include 1) initiation a collaborative network with two working groups on the physical and geochemical life cycles of volcanic ash; 2) development an integrated modeling, observational, and experimental data compilation on mid- to large-intensity eruptions to assist with benchmark modeling. These actions should be linked to the existing activities within the International Association of Volcanology and Chemistry of the Earth’s Interior, EGU, and AGU. The workshop was supported by the excellence cluster CliSAP (DFG EXE 177). This blog post has been originally prepared as a meeting report referring to a workshop in Hamburg, Germany, sponsored by the excellence cluster CliSAP (DFG EXE 177). This blog has been prepared by Ali Hoshyaripour (@Hoshyaripour – email: ali.hoshyaripour@kit.edu), Institute of Meteorology and Climate Research, Karlsruhe Institute of Technology, Germany and edited by Dasaraden Mauree (@D_Mauree). 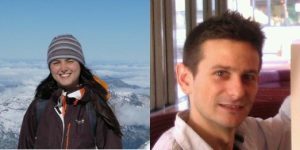 The blog will now also host a newsletter specially dedicated to Early Career Scientists of the Atmospheric Sciences Divisions. I hope that you by now have digested all the excellent science and events that took place during the EGU GA in April. I would like to thank you all for your contribution that made the Atmospheric Sciences program such a great success! Overall, ECS represent about 50% of the people attending the EGU GA and almost 20% of the participants are associated with the Atmospheric Sciences Division, so you are really a vital part of the community. 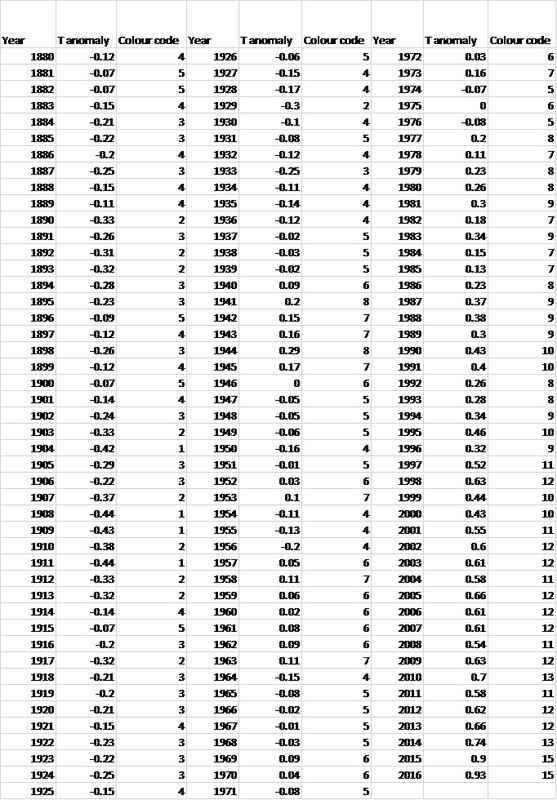 I hope that we can make next year’s program even better for you, so please feel free to suggest ways on how we can improve things. 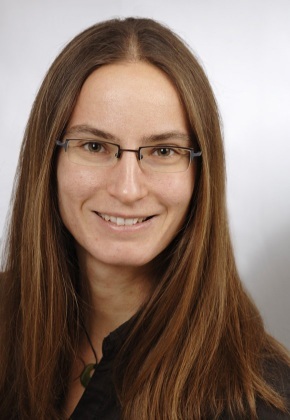 An additional option is of course to join forces with Ali Hoshyaripour and the rest of the AS ECS team of representatives – they are doing a great job thinking about how to support, inform and connect all Early Career Atmospheric Scientists! I wish you all a wonderful summer. We are pleased to announce the winners of OSSP award 2017 in AS division. Congratulations to all winners! The division has now an official page on Instagram (@eguasd). Nando Iglesias Suarez (right) is the admin of this page and division’s Facebook. Michelle Cain (left) is the admin of division’s Tweeter account (@EGU_atmos). Between 16-20 June 2017, you can send your questions on Facebook, Tweeter, Instagram with the hashtag #AS_Career or by email to ecs-as@egu.eu. Follow us on FB and Twitter for updates. Guy P. Brasseur studied at the Free University of Brussels, Belgium and obtained his PhD in 1978. During the following years, he worked at the Belgian Institute for Space Aeronomy, where he developed advanced models of photochemistry and transport in the middle atmosphere. In 1988, he moved to NCAR where he became Director of Atmospheric Chemistry Division in 1990. Between 1992 and 1996, he served as Editor in Chief of the Journal of Geophysical Research (Atmospheres), and during the period 1994-2001, became Chair of the International Atmospheric Chemistry Project (IGAC) of the International Geosphere-Biosphere Program (IGBP). On January 2000, Brasseur moved to Hamburg, Germany, where he became Director at the Max Planck Institute for Meteorology, and Honorary Professor at the Universities of Hamburg and Brussels. 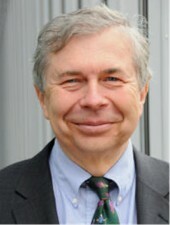 From 2002 to 2005, he was the Chair of the Scientific Committee of the International Geosphere Biosphere Programme (IGBP). He was a Coordinating Lead Author for the fourth Assessment Report (WG-1) of the International Panel for Climate Change(IPCC). The IPCC was awarded the Peace Nobel Prize in 2007. Between January 2006 and July 2009, Brasseur was an Associate Director of the National Center for Atmospheric Research (NCAR) and Head of the Earth and Sun Systems Laboratory. 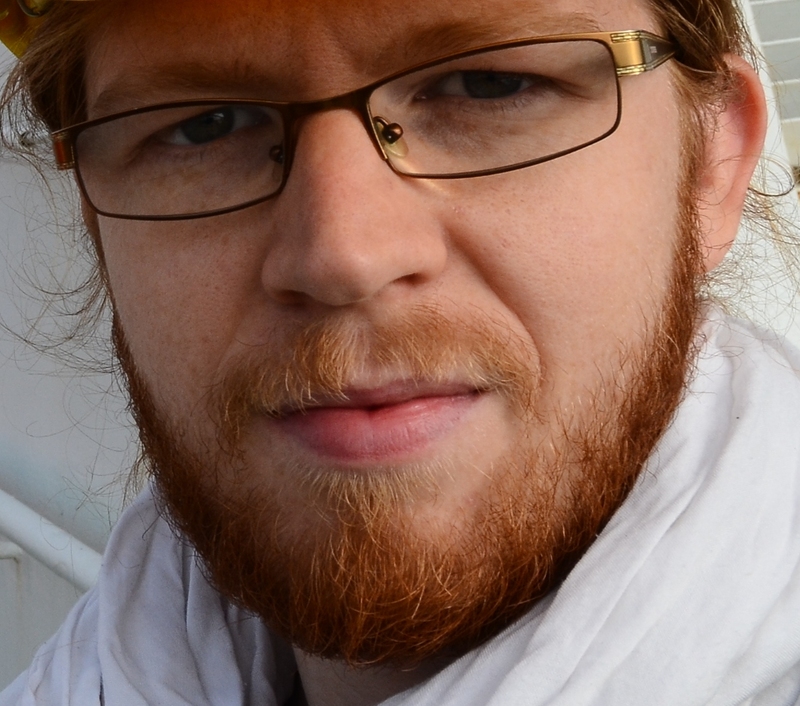 Between July 2009 and June 2014, he directed the Climate Service Center (CSC) in Hamburg, Germany. He is now an External Member of the Max Planck Institute for Meteorology and a Distinguished Scholar at NCAR. Brasseur is a member of the Academy of Sciences of Hamburg, an associate member of the Royal Academy of Belgium (Class: Technology and Society) and a foreign member of the Norwegian Academy of Sciences. He is also a member of the Academia Europea. He is Doctor Honoris Causa of the Universities of Oslo, Paris (Pierre and Marie Curie) and Athens. He was awarded several prizes including the 2014 Abate Molina Prize in Chile. Brasseur is currently the Chair of the Joint Science Committee of the World Climate Research Programme (WCRP). His primary scientific interests are questions related to Global Change, climate variability, chemistry-climate relations, biosphere-atmosphere interactions, climate change, stratospheric ozone depletion, global air pollution including tropospheric ozone, solar-terrestrial relations. He has contributed in more than 200 peer-reviewed publications and books and has been very active in climate science communication and knowledge dissemination. The summer school on “Atmospheric Chemistry and Dynamics” will be held at Forschungszentrum Jülich between 25 and 29 September 2017. 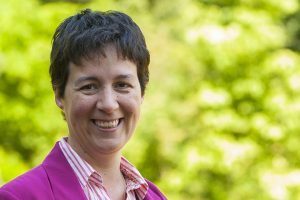 The EGU welcomes proposals for financial support of Training Schools to be held in the year 2018. Successful proposals result in high-profile EGU events. The Institute of Oceanography at the Polish Acadmy of Sciences offers a PhD and a Postdoc position. The Vienna Doctoral School of Physics offers new PhD fellowships. This blog has been prepared by Ali Hoshyaripour (@Hoshyaripour) and edited by Dasaraden Mauree (@D_Mauree). Send your comments, suggestions and contributions to ECS-AS newsletter at ecs-as@egu.eu. What? Ice lollies falling from the sky? 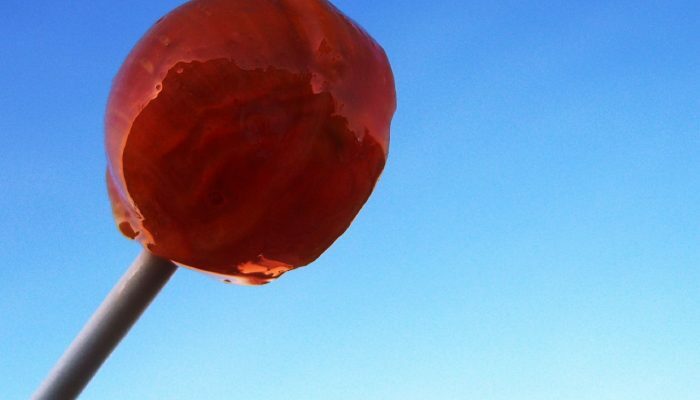 Are lollies really falling from the sky? Eight years ago (in January 2009), a low-pressure weather system coming from the North Atlantic Ocean reached the UK and brought several rain events to the country. Nothing is really special about this phenomenon in Western Europe in the winter. However, a research flight started sampling the clouds in the warm front (transition zone where warm air replaces cold air) ahead of the low-pressure system and discovered hydrometeors (precipitation products, such as rain and snow) of an unusual kind. Researchers named them ‘ice lollies’ due to their characteristic shape and maybe due to their gluttony. The microphysical probes onboard the aircraft, combined with a radar system located in Southern England, allowed them to measure a wide range of hydrometeors, including these ice lollies that were observed for the first time with such concentration levels. How do ice lollies form? A recent study (Keppas et al, 2017) explains that ice lollies form when water droplets (size of 0.1 to 0.7 mm) collide with ice crystals with the form of a column (size of 0.25 to 1.4 mm) and freeze on top of them (see Fig. 2). Fig 2: Formation of an ice lolly: water droplet (the circle) collides with an ice crystal (the column) [Credit: Fig. 1a from Keppas et al., (2017)]. Such ice lollies form in ‘mixed-phase clouds’, i.e. clouds made of water droplets and ice crystals and whose temperature is below the freezing point (0°C). At these temperatures, water droplets can be supercooled, meaning that they stay liquid below the freezing point. Figure 3 below shows the processes and particles involved in the formation of ice lollies. Ice lollies are mainly found at temperatures between 0 and -6°C, in the vicinity of the warm conveyor belt, which represents the main source of warm moist air that feeds the low-pressure system. This warm conveyor belt brings water vapour that participates in the formation and growth of supercooled water droplets. Ice crystals formed near the cloud tops fall through the warm conveyor belt and collide with the water droplets to form ice lollies. Fig 3: Processes involved with the formation of ice lollies, which mainly form under the warm conveyor belt [Credit: Fig 4 from Keppas et al., (2017)]. Are these ice lollies important? 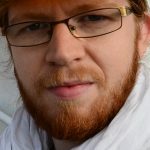 This is a joint post, published together with the Cryospheric division blog, given the interdisciplinarity of the topic. When it comes to global warming, greenhouse gases – and more specifically CO2 – are the most often pointed out. 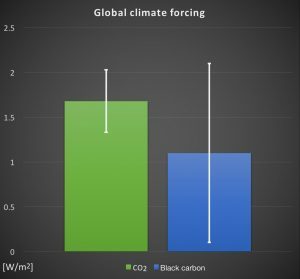 Fewer people know however that tiny atmospheric particles called ‘black carbon’ also contribute to the current warming. This post presents a paper my colleague and I recently published in Nature Communications . Our study sheds more light into the chemical make-up of black carbon, passing through the Arctic. Black Carbon (BC) originates from incomplete combustion caused by either natural (e.g., wild fires) or human (e.g., diesel car emissions) activities. As the name suggests, BC is a dark particle which absorbs sunlight very efficiently. In scientific terms we call this a strong positive radiative forcing, which means that the presence of BC in the atmosphere is helping to heat the planet. Some estimates put its radiative forcing in second place, only after CO2 (Figure 1). The significant thing about BC is that it has a short atmospheric lifetime (days to weeks), meaning we could quickly avoid some climate warming by getting rid of its emissions. Currently global emissions are increasing year by year and on snow and ice, the dark particles have a longer lasting effect due to the freeze and thaw cycle, where BC can re-surface, before it is washed away. It is important however to note, that our main focus on emission reduction should target (fossil-fuel) CO2 emissions, because they will affect the climate long after (several centuries) they have been emitted. The Arctic is warming faster than the rest of our planet. 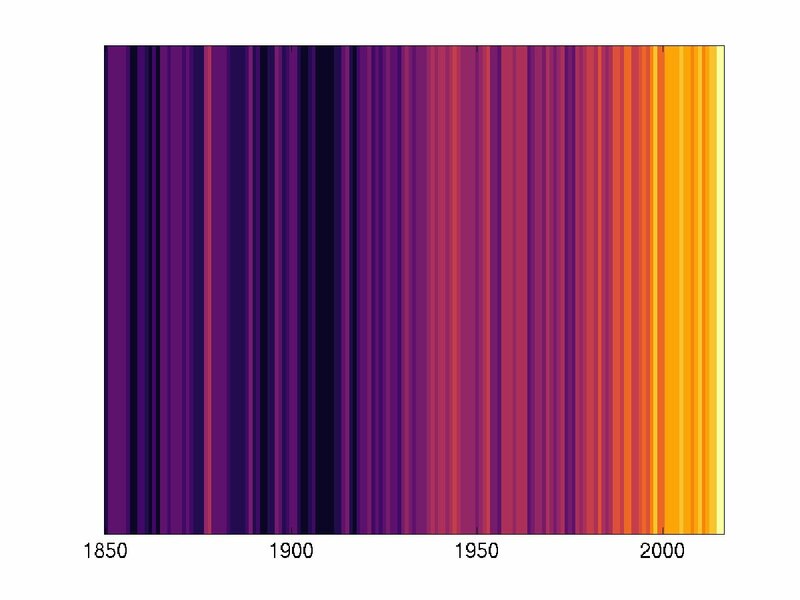 Back in 1896, the Swede Arrhenius, (better known for his works: in chemistry), calculated, that a change in atmospheric CO2 – which at that time was a good 100 ppm lower than today – would change the temperature at higher latitudes (towards the poles) more than at lower latitudes. 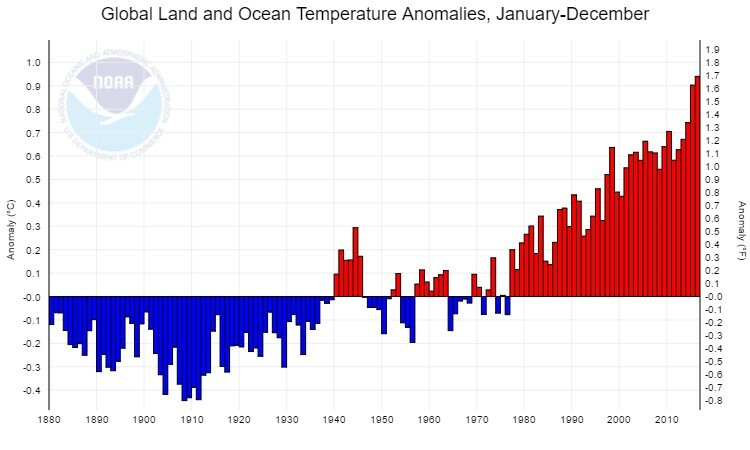 Figure 2: Surface temperature anomalies (in °C) for Jan-Mar (2016) with respect to a 1961-1990 baseline. [ Credit: NASA — GISTEMP (accessed 2016-10-15) and Hansen et al., 2010]. The problem with his calculations – as accurate and impressive they might have been – was, that he ignored the earth’s geography and seemed unaware of the big heat capacity of the oceans. On the southern half of our planet there is a lot more water, which can take up more heat, as compared to the northern half with more land surface. Thus, in reality the latitudes on the southern hemisphere have not heated as much as their northern counterparts and this effect came to be known as Arctic amplification. 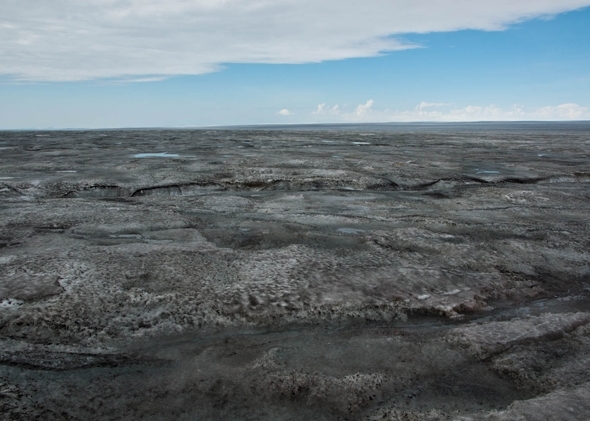 Figure 3: Ice covered in cryoconite, Greenland Ice Sheet, in August 2014 [Credit: Jason Box — Dark Snow project]. 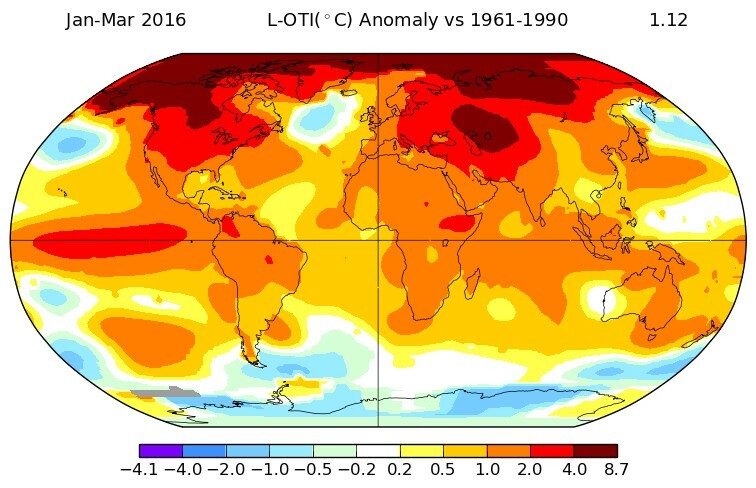 Greenhouse gases and BC are not the only reasons for the increase in temperature change and earlier onset of the melting season in the Arctic. Besides BC, there are other ‘light absorbing impurities’ such as dust, microorganisms, or a mixture of all of the above, better known as cryoconite. They all absorb solar radiation and thus decrease the albedo – the amount of solar energy reflected back to space – of the underlying white surface. This starts a vicious cycle by which these impurities melt the snow or ice and eventually uncover the usually much darker surface (e.g., rock or open sea water), leading to more solar absorption and the cycle continues. 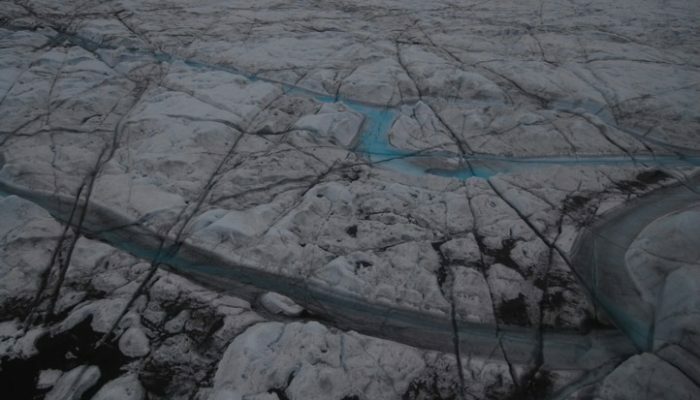 The effect and composition of these impurities are currently intensively studied on the Greenland ice sheet (check out the Black and Bloom, as well as the Dark Snow projects). One of the reasons for the high uncertainty of BC’s climate effects is the big range in effects it has (see white line on Figure 1), when it interacts with snow and ice (or clouds and the atmosphere). Another source of uncertainty is probably the big estimated range in the global, and especially in the regional emissions of BC in the Arctic. For example, the emission inventory we work with (ECLIPSE), is based on international and national statistics that indicate how much of a certain fuel (diesel, coal, gas, wood, etc.) is used, and in which way it is used (vehicle sizes, machine type and age, operating conditions, etc.). These numbers can vary a lot. If we, for example, line up different emission inventories of man-made emissions (Figure 4), by comparing the two different fractions of BC (fossil fuels vs. biomass burning) at different latitudes, then we see that the closer we get to the North pole, the more these emission inventories disagree. And this is still ignoring atmospheric transport or emissions of natural sources, such as wildfires. Computer models, necessary to calculate global climate change, are partly based on input from these emission inventories. Models used for the calculation of the transport of these tiny particles have vastly improved in recent years, but still struggle at accurately mimicking the seasonality or extent of the observed BC concentrations. To some extent this is also due to the range of parametrization in the model, mainly the lifetime of BC, including its removal from the atmosphere by wet scavenging (e.g., rain). So to better understand black carbon effects on climate, more model calculations are necessary, for which the emission inventory estimates need to be verified by observations. How do we trace the origin of black carbon? This is where the science of my colleagues and me comes in. By looking at BC’s isotopic ratio of stable-carbon (12C/13C) and its radiocarbon (14C) content we were able to deduce information about the combustion sources (Figure 5). Plants (trees) take up contemporary radiocarbon, naturally present in the atmosphere, by photosynthesis of atmospheric CO2. All living organisms have thus more or less the same relative amount of radiocarbon atoms, we talk of a similar isotopic fingerprint. BC from biomass (wood) burning thereby has a contemporary radiocarbon fingerprint. When they die, organisms stop incorporating contemporary carbon and the radiocarbon atoms are left to decay. Radiocarbon atoms have a relative short (at least on geological time-scales) half-life of 5730 years, which means that fossils and consequentially BC from fossil fuels are completely depleted of radiocarbon. This is how the measured radiocarbon content of a BC sample gives us information on the relative contributions of fossil fuels vs. biomass burning. The stable carbon isotopic ratio gives information on the type of combustion sources (liquid fossil fuels, coal, gas flaring or biomass burning). Depending on how a certain material is formed (e.g., geological formation of coal), it has a specific isotopic ratio (of 12C/13C), like a fingerprint. Sometimes isotopic fingerprints can be altered during transport (because of chemical reactions or physical processes like condensation and evaporation). However, BC particles are very resistant to reactions and change only very little. Hence, we expect to see the same fingerprints at the observation site and at the source, only that the isotopic signal at the observation site will be a mixture of different source fingerprints. Where does the black carbon in European Arctic come from? 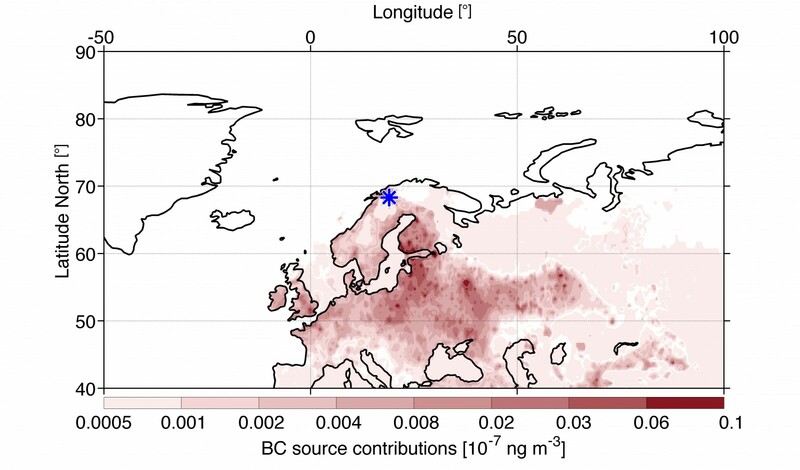 In our study (Winiger et al, 2016), we observed the concentrations and isotopic sources of tiny particles in airborne BC for over a year, in the European Arctic (Abisko, Sweden), and eventually compared these observations to model results, using the freely available atmospheric transport model FLEXPART and emission inventories for natural and man-made BC emissions. Seeing our results we were first of all surprised at how well the model agreed with our observations. We saw a clear seasonality of the BC concentrations, like it has been reported in the literature before, and the model was able to reproduce this. Elevated concentrations were found in the winter, which is sometimes referred to as Arctic haze. The combustion sources showed a strong seasonality as well. The radiocarbon data showed, that fossil fuel combustion dominated in the winter and (wood) biomass burning during the low BC-burden periods in the summer. With a combination of the stable isotope fingerprints and Bayesian statistics we further concluded, that the major fossil fuel emissions came from liquid fossil fuels (most likely diesel). The model predicted a vast majority of all these BC emissions to be of European origin. Hence, we concluded, that the European emissions in the model had to be well constrained and the model parametrization of BC lifetime and wet-scavenging had to be fairly accurate for the observed region and period. Our hope is now that our work will be implemented in future models of BC effects and taken into account for future BC mitigation scenarios. Anderson, T. R., E. Hawkins, and P. D. Jones (2016), CO2, the greenhouse effect and global warming: from the pioneering work of Arrhenius and Callendar to today’s Earth System Models, Endeavour, in press, doi:10.1016/j.endeavour.2016.07.002. Arrhenius, S. (1896), On the influence of carbonic acid in the air upon the temperature of the ground., Philos. Mag. J. Sci., 41(August), 239–276, doi:10.1080/14786449608620846. Hansen, J., R. Ruedy, M. Sato, and K. Lo (2010), Global surface temperature change, Rev. 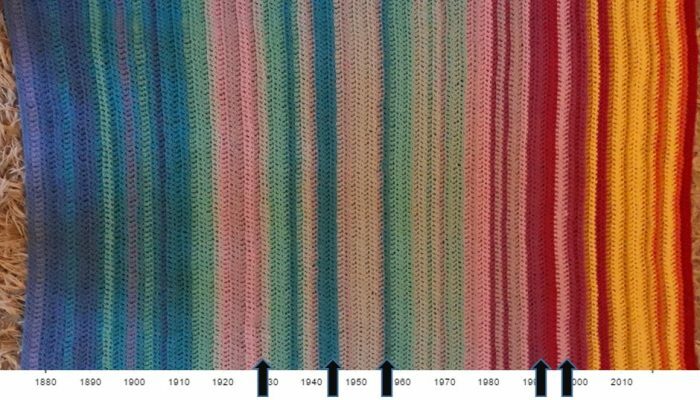 Geophys., 48(4), RG4004, doi:10.1029/2010RG000345. 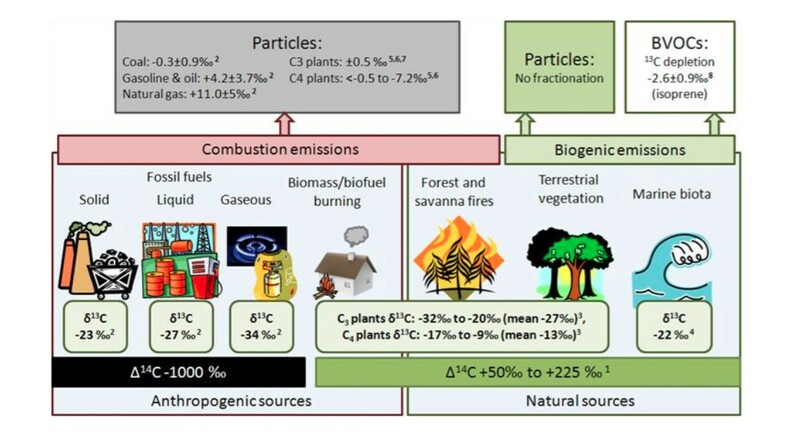 Klimont, Z., Kupiainen, K., Heyes, C., Purohit, P., Cofala, J., Rafaj, P., Borken-Kleefeld, J., and Schöpp, W.: Global anthropogenic emissions of particulate matter including black carbon, Atmos. Chem. Phys. Discuss., doi:10.5194/acp-2016-880, in review, 2016. Winiger, P., Andersson, A., Eckhardt, S., Stohl, A., & Gustafsson, Ö. (2016). The sources of atmospheric black carbon at a European gateway to the Arctic. Nature Communications, 7. This is joint post with the Cryospheric Division , given the interdisciplinarity of the topic featured.